Glass continues its reign in the Box Office while the Academy makes the race for the golden statuette stiffer with its swelling number of nominees. Looks like M. Night Shyamalan’s Glass is finally fending off the gloomy reviews the film was receiving way before it even hit the theatres. The Universal and Disney’s joint collaboration featurette Glass has already covered the sixth fold of its initial venture cost - currently reigning the box office with a global gross of $113.5 million. After the worldwide release of superhero thriller on January 18, the second weekend of the new slated movie in the Unbreakable franchise is well en route to repeating itself as the winner of a mild North American weekend box office with about $16 million at 3,844 screens-as per early estimates from Friday. 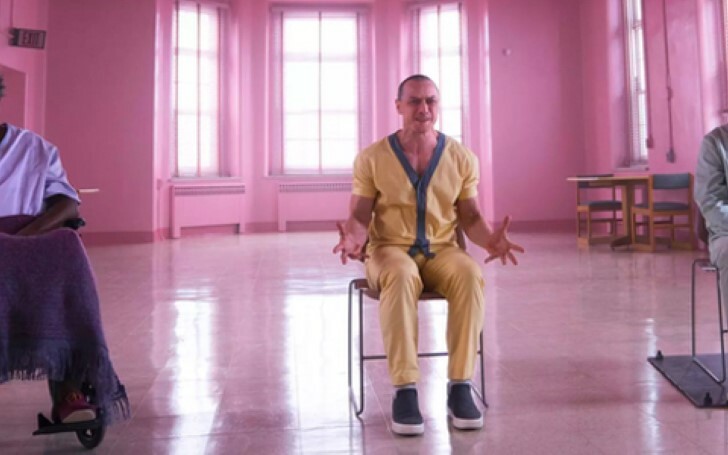 Despite the simultaneous negative reviews, Glass evidently managed to rack up $54 million in its first week. It’s a direct sequel to 2016’s Split with Samuel L. Jackson, Bruce Willis, and James McAvoy reprising their respective roles in the offbeat thriller. Similarly, the third weekend for the French remake of The Intouchables, The Upside starring Kevin Hart-Bryan Cranston is forecasted to lead the rest of the bundle with about $10 million, followed by the premiere of Fox’s fantasy-comedy The Kid Who Would Be King in the $8 million to $9 million range at 3,521 venues. This adventure flick from the director, Joe Cornish stars Louis Ashbourne Serkis (son of Andy Serkis) as an adolescent who finds King Arthur’s sword, Excalibur along with Rebecca Ferguson and Patrick Stewart in a supporting role. Elsewhere Warner Bros is still going headstrong in the sixth weekend of its blockbuster Aquaman as it is sure to nab the fourth place with $6 million to $7 million, pushing its North American altogether to a total of $315 million at the end of the weekend. Steven Knight’s noir mystery Serenity featuring Matthew McConaughey-Anne Hathaway is opening with a moderate $5 million to $6 million at 2,561 spots. The film will be contending for fifth place with Universal’s expanding run of Green Book at 2,489 sites following its win of best picture from the Producers Guild of America, plus five Oscar nods. Green Book has raked $44 million from the domestic gates since opening in November. Box office foregoers believe it still an edge to bring in more revenue after all that best picture Oscar buzz. Focus Features is again-releasing its biographical crime comedy-drama, BlacKkKlansman this weekend in 168 drapes after Spike Lee’s directorial about a black detective who infiltrated the Ku Klux Klan went on to clinch six Oscar nominations, including best picture. Getting back to the Oscar contenders, Annapurna's Vice starring Christian Bale will expand to 1,557 locations (+382), WB's A Star is Born will be screening in 1,192 theaters (+777), Bohemian Rhapsody will play in 1,423 theaters (+1,177), and The Favourite is still to hit in 1,540 theaters (+517). Finally, one last Oscar challenger to mention is an outsider from Sony Classics's Never Look Away, which was lined up for two Oscar’s category — Cinematography and Best Foreign Language — and it will debut in Great Plains starting from New York's Paris Theater this weekend followed by an opening in Los Angeles on February 8.